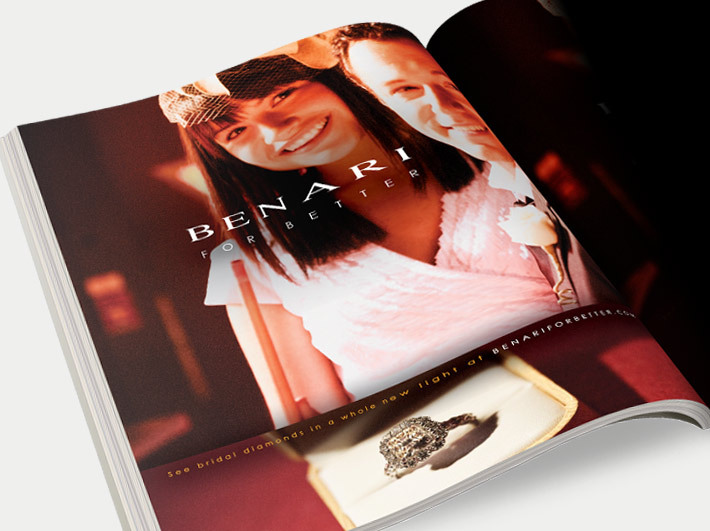 Despite decades of success under their belts, Benari Jewelers had become known primarily as the area’s elite dealer of fine watches and timepieces. 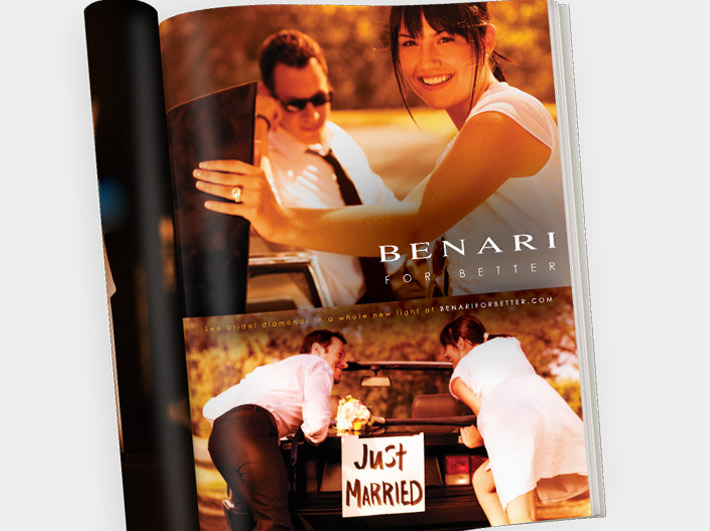 What people didn’t realize, however, was that Benari also featured one of the regions largest, most dazzling collections of wedding bands and diamond engagement rings. That’s when they turned to Signature Communications for help. Almost immediately we realized that what separated Benari from everyone else was its approach. 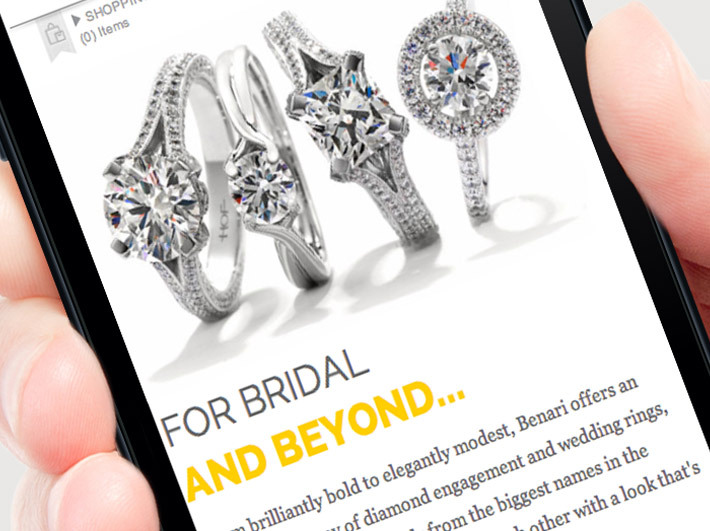 In a world of superstores and outlet shopping, Benari’s experienced gemologists still understood the importance of doing things the right way through personalized service. 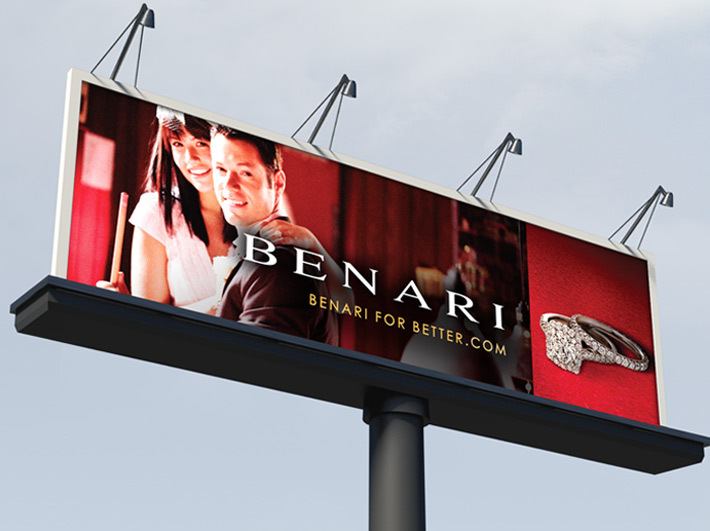 From this notion sprung the “Benari For Better” idea. 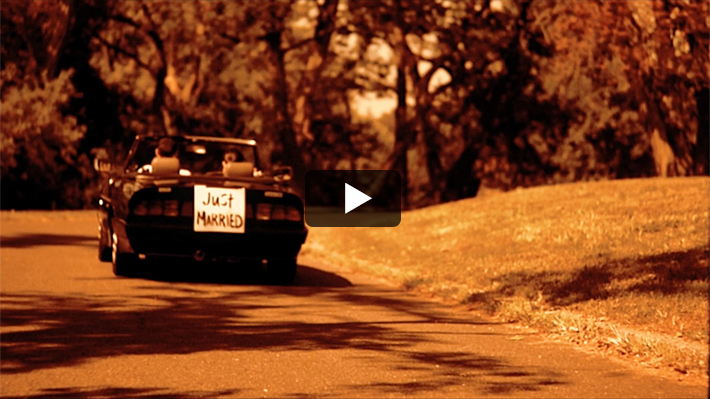 Shot on location at historic and popular locations throughout Philadelphia, the multi-faceted campaign, utilizing online, print, outdoor, radio and TV to depict the hopes and aspirations of recently engaged/just married couples, resonated with our target audience. 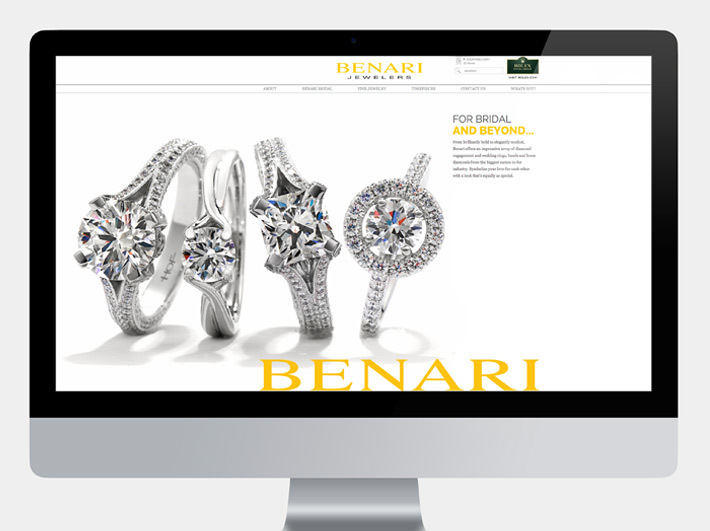 Today, Benari Jewelers is known not only as one of the area’s preeminent authorities on watches and timepieces, but on bridal jewelry as well. 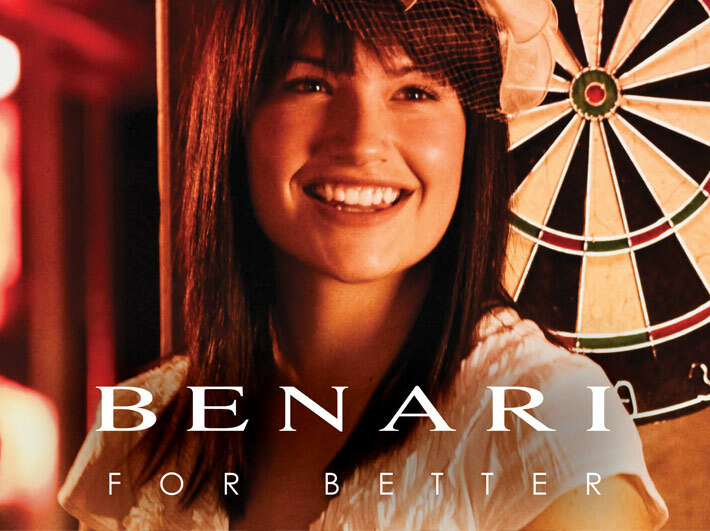 We’d like to think “Benari For Better” had a little something to do with it.